The coffee shop was full to bursting, there were cars in all the parking places and people on the street. We were headed to the City Café when my friend said “I wish (small Gaston County Town name withheld) had something like this going on.” I was startled by this, as I am used to thinking of Mt. Holly as a sleepy little town…but I realized that’s just not the reality anymore. Mt. Holly has been gradually waking from its long slumber, but the advent of new vision and new investment promise exciting changes downtown. The Eden Group, headed by local entrepreneur Preston Wilson, has already started work in downtown Mt. Holly. GA! Preston, you seem to have a love and a knack for working with historical and architecturally interesting projects. What is it you love about this type of project? Preston: I have always had an appreciation for art and history. It is both rewarding and challenging to be able to uncover things from the past, and put I forth my best effort to restore them to their original splendor. GA! William Henry Salon, which is named for your great grandfather, has been very successful in Belmont. I understand a new William Henry will be one of the lead tenants in Mt. Holly. Why choose Mt. Holly for this project? Is it the community or the downtown architecture, or? Preston: The potential of the downtown has never been a question. What has drawn us most is the effort and vision of Mt. Holly’s current leaders and organizations. 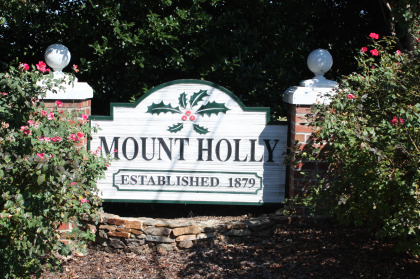 Downtown development and economics has been a passion of mine for some time, and I believe the citizens and leadership of Mt Holly have invested time and resources wisely that will soon cause Mt. 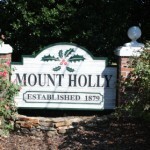 Holly to be a retail and fashion destination. GA! David, as the spokesperson for the Eden Group, can you tell us a little about Eden and what you guys are all about? David: The Eden Group is made up of four business leaders each with a different expertise. We are a team of entrepreneurs with backgrounds in design and marketing, leadership development, economics and financial planning, and commercial contracting and development. Our objective as a company is to provide a space for businesses to succeed in their proper environments as well as provide assistance to those small businesses in their growth and development. GA! Marshall, what is Eden’s vision for the Mt. Holly project, and does it differ from what you have done elsewhere? Marshall: Our strategy has been a little different in this project. We have set out to acquire and influence a specific part of the downtown district, thus having the ability to specialize as far as the types of businesses that go there. We then try to foster an environment in which these small businesses will succeed and grow. Our current focus has been on the north end of Main Street, with fashion and specialty retail as a theme and drawing card. We are delighted that William Henry Signature Salon will be our anchor tenant as they have a great reputation in our area for fashion and style. We are also currently in negotiation with several other boutique and specialty businesses looking to be a part of what’s happening in the Fashion District. GA! What is your estimated time table for this project? Preston: We are targeting for a better part of the façade improvements to be complete by the holiday season of this year. William Henry has plans to be open by this time as well. GA! Jon, what has the attitude of local leaders and politicians? Jon: I have had the opportunity to partner in different ventures in several cities around our region. I would have to agree with Preston in that the current leadership in Mt Holly is a rare find. The leadership and politicians are very passionate about the downtown revitalization and have put forth a tremendous amount of research and effort to address issues and make progress in a very strategic manner. It really has been a privilege to work with the Mayor and the leaders in all of the downtown development organizations. GA! I understand that you guys have had a very positive response from other potential businesses occupying some of the buildings in this district. Are there any opportunities available to any other small business owners that may want to get involved? If so, how do they contact you? David: There is still some office and retail space available. These spaces are all very flexible and diverse, differing in size and functionality. For anyone interested in available space, or finding out more about the Eden Group and its partners; information is available online at www.edengroupusa.com., or by calling 704-350-5662. GA! Preston, I have had the privilege of hearing some of the success stories of the stylists and spa professionals at William Henry as well as your vision first hand. I know the passion that you and your wife have for the success of others. 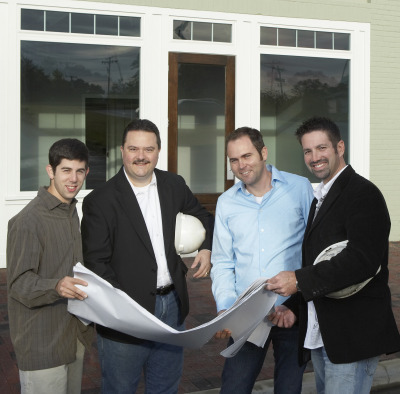 Are there still opportunities for industry professionals to join your team in Mt Holly? Preston: Yes, there are still opportunities available. Anyone interested in becoming a part of William Henry professionally, or anyone that wants to learn more about William Henry, its services and vision, should check us out online as well at: www.williamhenrysalon.com.